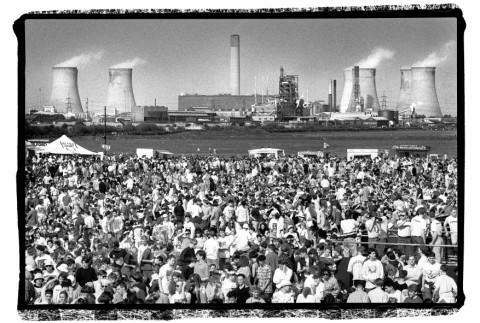 THEME ARTICLE - "SPIKE ISLAND'S BAGGY WOODSTOCK WITH THE STONE ROSES!" The Stone Roses arrived on the scene with the debut album "The Stone Roses" in 1989, although they originally formed in 1983. 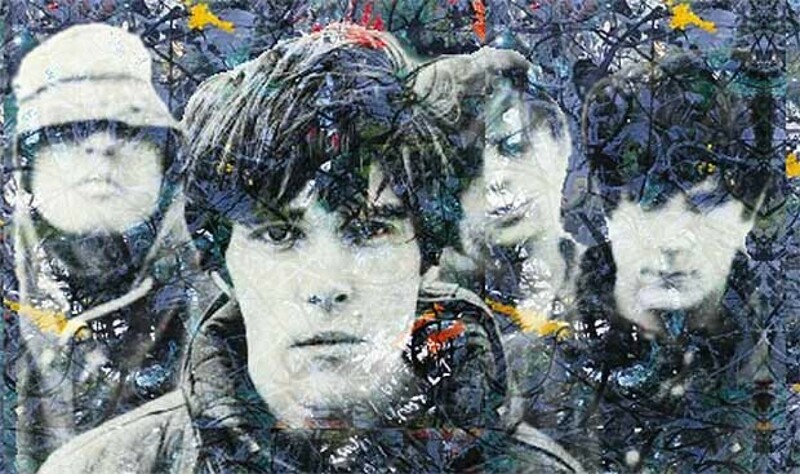 The band consisting of Ian Brown, John Squire, Reni and Mani were touted as the most exciting British band in years. 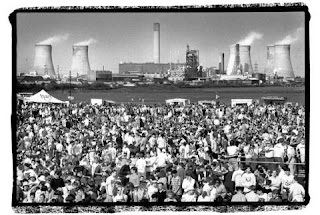 As they have recently reformed I thought I would share my experience of The Roses especially at Spike Island in Widnes on 27th May, 1990. As it was also the time of the "Madchester" craze including Happy Mondays, Inspiral Carpets, The Charlatans and The Mock Turtles to name but a few, Mr Brown and the boys were integral to it's success at the end of the 80s and start of the 90s. The first album was brilliantly fresh and original, it sounded like nothing else around. The heavy guitar based and superbly woven melodies matched with Ian Brown's anthemic vocals. I got into the Madchester bands because not because it was popular, but because it was something new and fresh, the late 80s were so dull with all the Acid House, Rave and poor Stock, Aitken and Waterman tunes being churned out. Anyway, songs like "Waterfall", "Made of Stone"and "She Bangs The Drums" were constantly played and my mates and I were waiting for a concert near us in little old Runcorn. The only other decent bands around at this time were Deacon Blue, Texas, Del Amtri and a couple of others, of course my favourites Prince and Madonna were still huge. The favourite track of most Roses' fans has to be "Fools Gold", a dancey but funky Rock number which made the Roses even more well known in other genres of fans. The second album coudn't match the debut's success and it came 5 years later!. 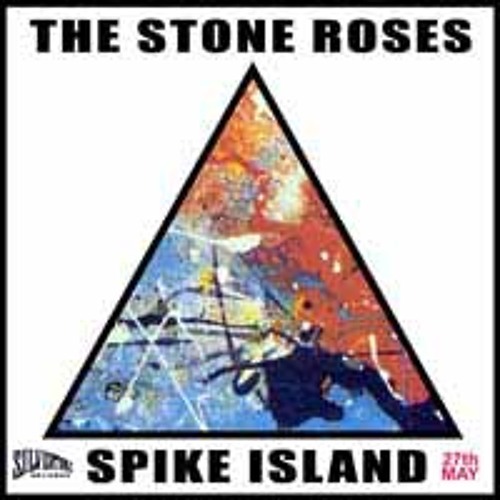 So we heard The Roses would be playing Spike Island, across the Runcorn-Widnes bridge, tickets were £14.50 including a booking fee of £2. We had heard about the drugs and drink fanbase that was supposedly going but we didn't care. Although the most potent thing my mates and I had was a very poor beer and a burger with brown sauce on and mustard, we felt pretty much stoned all day!. When we got there with the crowds marching across the bridge to our destination, we saw a massive DJ box and like a faint smokey cloud over everywhere. Little did we know this was due to the mysterious and various drugs being smoked around! Anyway, I digress, there were supposed to be 20,000 people expected, I am certain is was almost double that, it was totally packed. The sun shone brightly and we thought it was going to be one of the best concerts ever. 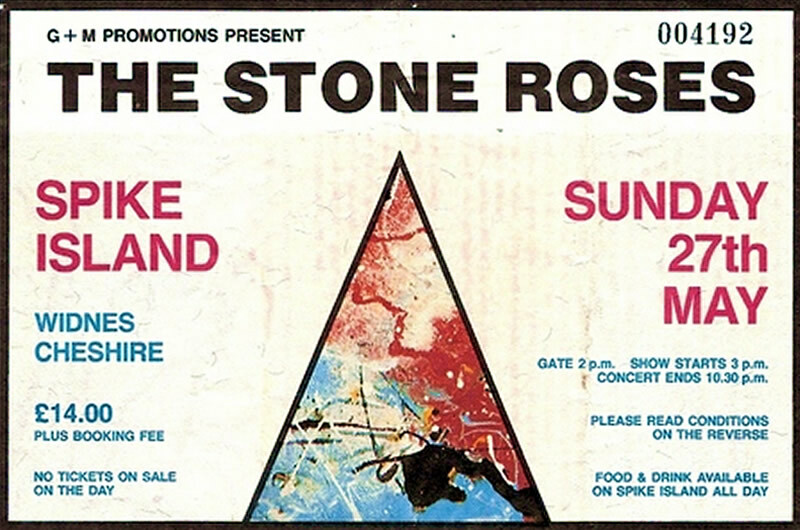 It is ironic that this gig is named in rock history as the one that made The Stone Roses. I have been to many gigs, the best being Prince at Maine Road and Bon Jovi and Van Halen at Don Valley Stadium. This gig was, despite it's fame, very ordinary and not the mindboggling concert we expected from one of the most interesting bands of the time!. For the first 8 hours at least, after many beers and burgers and walking round in a daze through the strange smokey air, we had a DJ playing some godawful Dance and Rave and Acid music, the very music I despised at the end of the 80s/beginning of the 90s!, I kid you not, 8 hours!!. In between , some Rap group came on, couldn't hear them very well, thank god, just prancing around and swearing at every word. This was not what we expected, I know it was only £16 a ticket but we expected a gig of live bands!!. Anyhow, The Roses came on at 9pm or 9.30pm, can't quite remember, and did 45 minutes! The sound was terrible, we could barely see them. All I can say about this concert is "Hey, it wasn't very good, but I was there!". Still glad I went though, just to be a part of Rock history, the new summer of love and baggy Woodstock!! After all that, they were a great band and it wasn't their fault the gig was a shambles, they deserved better from whoever was organising it! Although it wasn't the best gig I had ever been to, and suffering all that dreadful dance music for hours in the red hot sun it is still an iconc moment and will stick in my mind whenever The Stone Roses are mentioned! NEW MUSIC PROFILE - COUNTRY ARTIST "WHITNEY ROSE"
NEW MUSIC PROFILE - INDIE ROCK BAND "LUNA BLUE"
NEW MUSIC PROFILE - ROCK BAND "STONEFIELD"